»Meet Daniele C. Struppa, Ph.D.
» Meet Daniele C. Struppa, Ph.D.
Daniele C. Struppa, Ph.D., joined Chapman University in 2006 as provost, responsible for creating and implementing academic priorities for the University and for the allocation of resources to support those priorities. In 2007, with the addition of further leadership responsibilities, he was appointed as Chapman’s first chancellor. 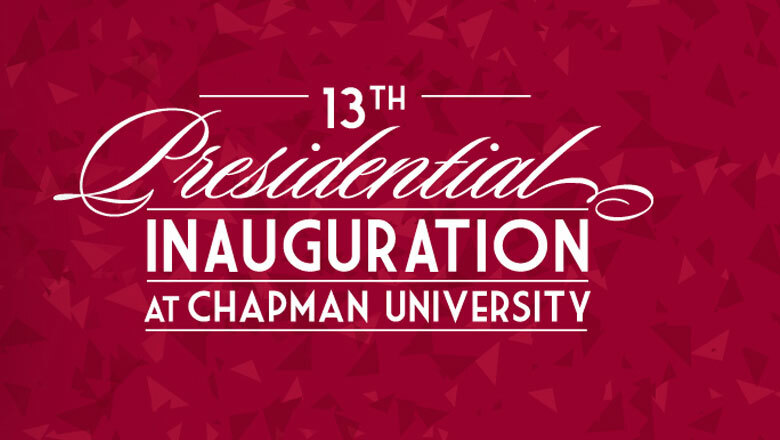 Dr. Struppa came to Chapman University from George Mason University, where he served as director of the Center for the Applications of Mathematics, as chair of the Department of Mathematical Sciences, and as associate dean for graduate studies. In 1997, he was selected dean of George Mason’s College of Arts and Sciences. Dr. Struppa earned his laurea in mathematics from the University of Milan, Italy in 1977, and took his doctorate degree in mathematics from the University of Maryland, College Park, in 1981. In recognition of his work, he has been awarded the Bartolozzi Prize from the Italian Mathematical Union (1985), and the Matsumae Medal from the Matsumae International Foundation of Tokyo (1987). Dr. Struppa is the author of more than 150 refereed publications, and has edited or co-authored six books: The Mathematical Legacy of Leon Ehrenpreis (2012); Noncommutative Functional Calculus: Theory and Applications of Slice Hyperholomorphic Functions (2011); Harmonic Analysis, Signal Processing, and Complexity: Festschrift in Honor of the 60th Birthday of Carlos A. Berenstein (2005); Analysis of Dirac Systems and Computational Algebra (2004); Fundamentals of Algebraic Microlocal Analysis (1999); and The Fundamental Principle for Systems of Convolution Equations (1983). While serving as chancellor, Dr. Struppa has continued his scholarly research focusing on Fourier analysis and its applications to a variety of problems including the algebraic analysis of systems of differential equations, signal processing and pattern recognition. Some of his recent work applies these ideas and methods to problems ranging from denoising to bio-contaminant protection to proteomics of cancerous cells. Dr. Struppa is married to Lisa Sparks, Ph.D. He is the father of Alex, Arianna, and Athena; and step-father of Elena. 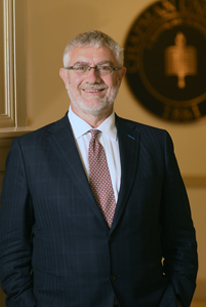 "I am particularly proud of what I believe are the unique characteristics of this University, namely its attention to individual students, coupled with an emphasis on high-quality internationally renowned scholar-teachers."